In its letter in support of a federal magistrate judge’s original order to compel Apple’s help in unlocking an iPhone used by San Bernardino terror suspect Syed Rizwan Farook, federal prosecutors intimate the company is playing to the media in an attempt to protect its brand. The document was penned by U.S. Attorneys for the Central District of California Eileen M. Decker, Chief of the Cyber and intellectual Property Crimes Section Tracy L. Wilkison and Chief of the National Security Division Patricia A. Donahue. One of Apple’s main targets is the All Writs Act, a contingency that imbues courts with the power to issue orders if no other judicial tools are available. After being met with resistance to an initial warrant, the FBI leveraged AWA as a legal foundation to compel Apple’s assistance. If the DOJ is successful in its court action, it could pave the way for broader application of the statute in other investigations, Apple says. Indeed, the FBI is currently asserting AWA in at least nine other cases involving iOS devices. In this case, however, the government argues its use of AWA is proper. As for undue burden, the letter notes Apple grosses hundreds of billions of dollars each year. It would take as few as six employees plucked from Apple’s workforce of approximately 100,000 people as little as two weeks to create a workable solution to the FBI’s problem, the letter says, adding that the company is to blame for being in the position it currently finds itself. “This burden, which is not unreasonable, is the direct result of Apple’s deliberate marketing decision to engineer its products so that the government cannot search them, even with a warrant,” according to the government. A few interesting tidbits were also revealed in the course of dismantling Apple’s opposition, including a technical revelation that strikes at the heart of one of Apple’s key arguments. Apple has maintained that a forced iCloud backup, obtained by connecting Farook’s iPhone to a known Wi-Fi network, might contain information FBI agents are looking for. However, that option was rendered moot after the FBI ordered San Bernardino officials to reset Farook’s Apple ID password. “The evidence on Farook’s iCloud account suggests that he had already changed his iCloud password himself on October 22, 2015—shortly after the last backup—and that the autobackup feature was disabled. A forced backup of Farook’s iPhone was never going to be successful, and the decision to obtain whatever iCloud evidence was immediately available via the password change was the reasoned decision of experienced FBI agents investigating a deadly terrorist conspiracy,” the government claims. The idea of narrow investigation is mentioned multiple times. Apple is not being required to create a master key for all iOS devices, government representatives insist, but instead a piece of code applicable to one iPhone. Even if hackers or nefarious agents manage to steal said code, it would only be useful in unlocking Farook’s iPhone 5c, the government attests. This issue is under debate, however, as some experts say the flawed iOS version could be used on other devices. Creating a specialized forensics tool also acts as a proof-of-concept that iOS is vulnerable to attack. 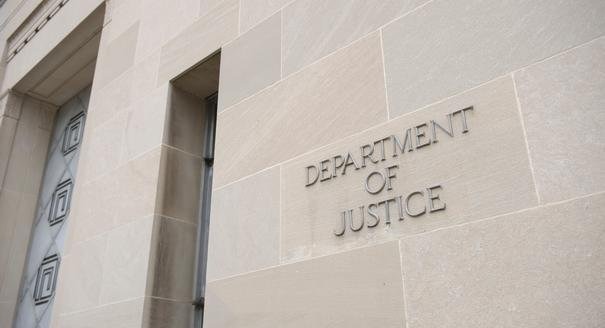 Apple and the DOJ are set to meet in court over the matter in a hearing scheduled for March 22.